The Mexicana grows in the wild in the subtropical regions of Mexico. Psilocybe mexicana A made Dr. Albert Hofmann world famous in 1958 when he was the first to isolate the active chemicals from this fungus. 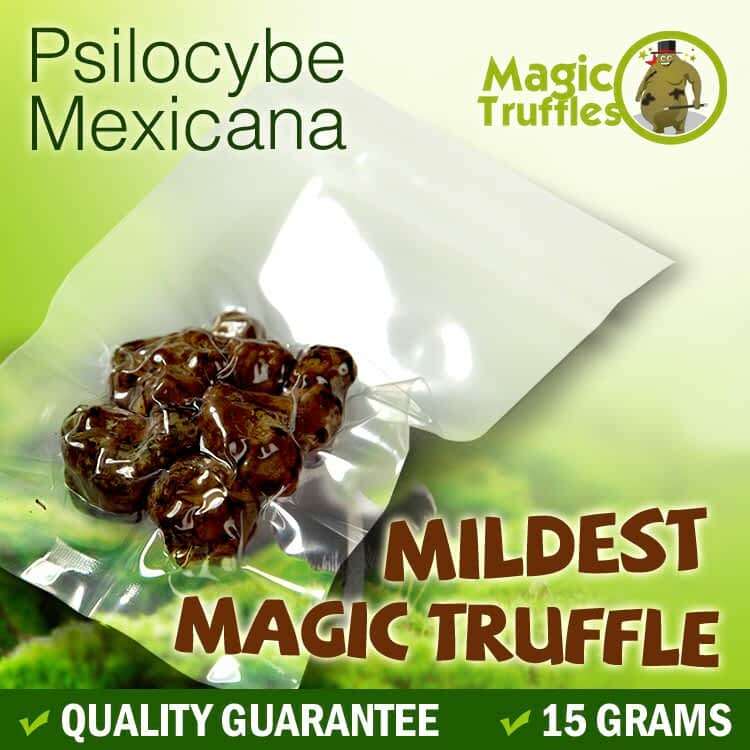 Mexicana psilocybe magic truffles are together with the Tampanensis the best known truffles around, and are also known as "Flesh of the Gods". The active chemicals in these magic truffles are known as psilocin and psilocybin. Both chemicals are well known amoung the psychonauts. Psilocybe mexicana magic truffles give you a happy and energetic trip. Perfect for the beginner psychonaut. Guaranteed some hours of exciting, creativity and philosophical tripping. Share your experience about Mexicana with other customers. Submit your tips or thought on this product, be detailed and specific.